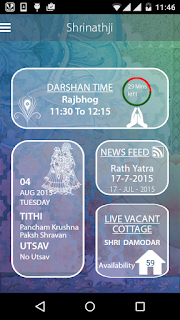 It has been truly said that hard work and dedication always bears fruit. 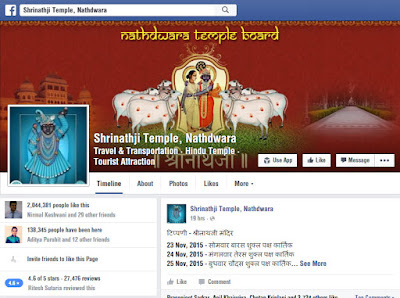 So is the case with Shrinathji Temple, Nathdwara facebook page which is jointly managed by team of Prompt Softech and Nathdwara Temple Board. 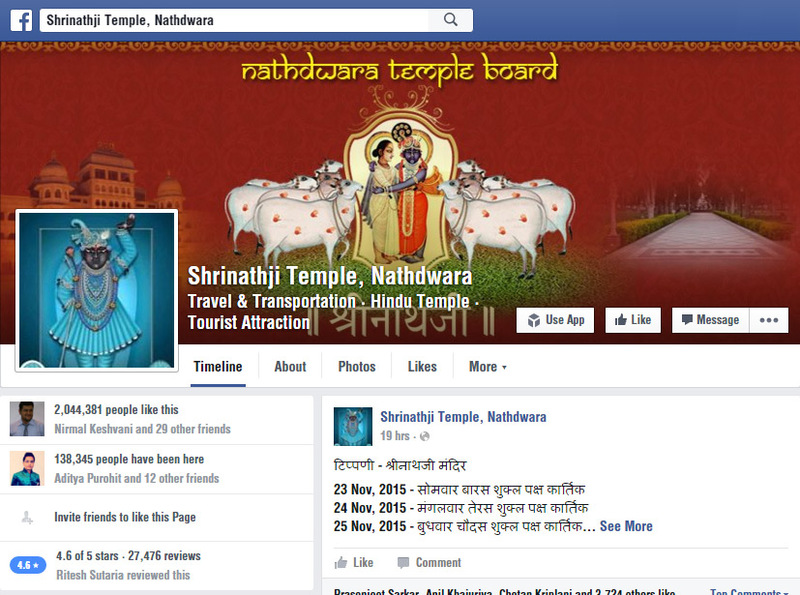 We are proud to inform that our dedication has been recognised as Shrinathji Temple, Nathdwara page being recognised as one of the top facebook page. Shrinathji Temple, Nathdwara facebook page is very popular among its followers with more than 2 million followers.It has been covered on front page by Rajasthan Patrika & www.aajtakbharat.com on 23rd November 2015. 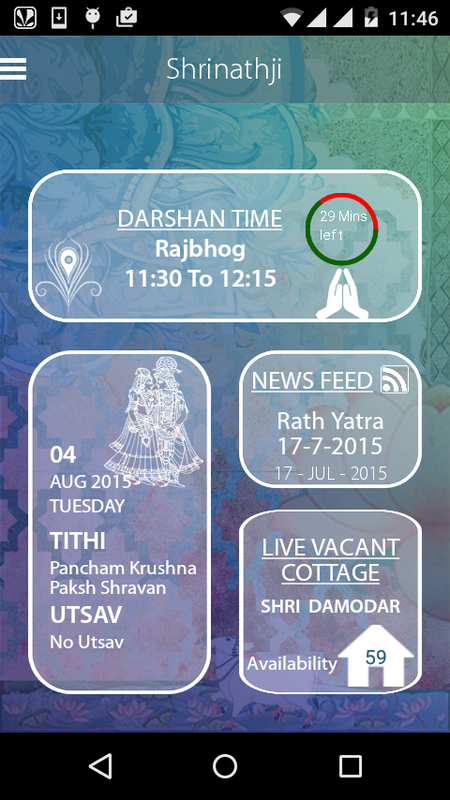 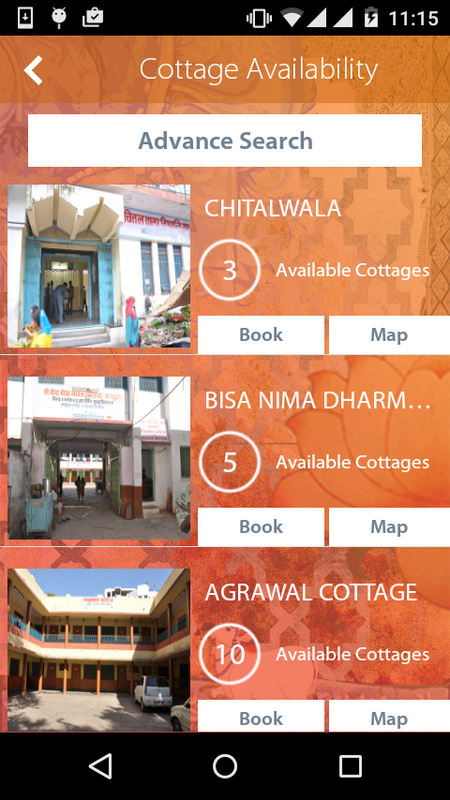 Shrinathji Temple mobile app is equally popular and gaining recognition among new followers. 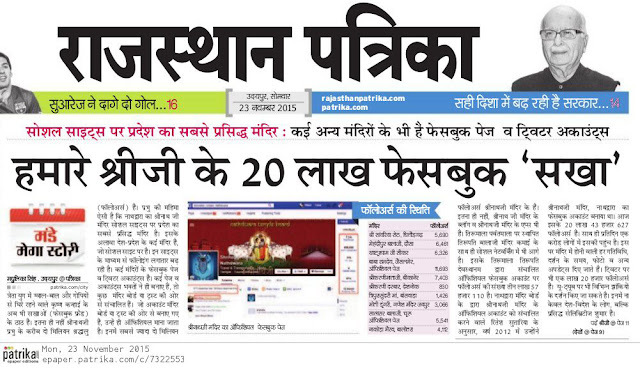 We would like to congratulate team of Prompt Softech, Nathdwara Temple Board and all the followers of Shrinathji Temple, Nathdwara page for this great achievement. 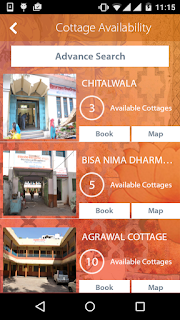 This was not possible without their hard work and dedication and also encouraged us to work more diligently towards Shrinathji Temple, Nathdwara facebook page and mobile app.